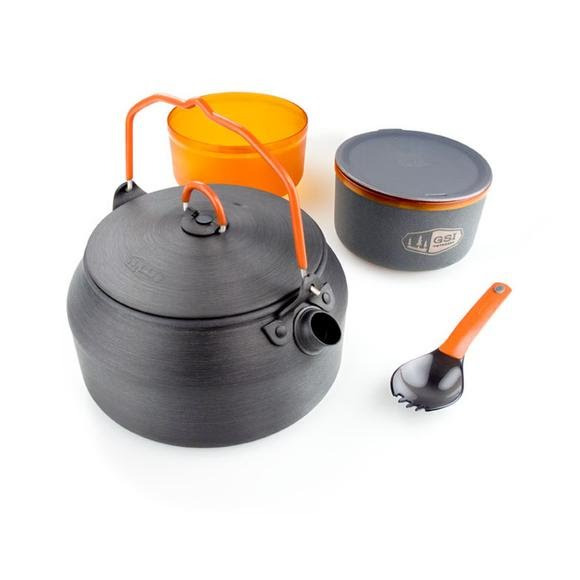 Everything a force of 1 needs for cookware in the hinterlands, the GSI Outdoors Halulite Ketalist Cookware is durable, versatile and best of all lightweight. Stuff sack&apos;s nylon bottom panel and short sides help to keep soot and char off your clothes and other gear. Dimensions (packed) 6.30" x 5.90" x 3.50"